most beautiful smile. captured very well. great moment, captures the emotions. Cute shot. 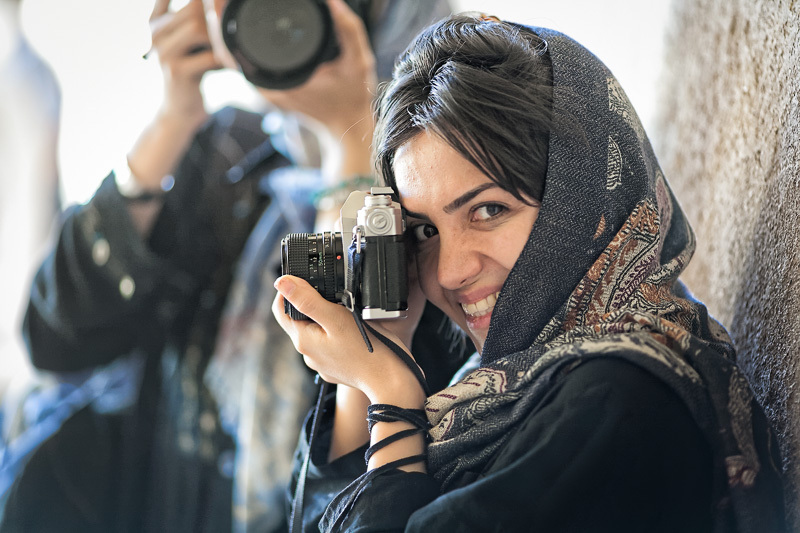 It's good to see the women of Iran enjoying photography. Beautiful snapshot. How joyfull making pictures is...wherever on the world you live! Excellent -- beautifully expressive candid portrait.